Houston Ballet is a creation of an early dream that wished to produce dancers for their own resident ballet company. 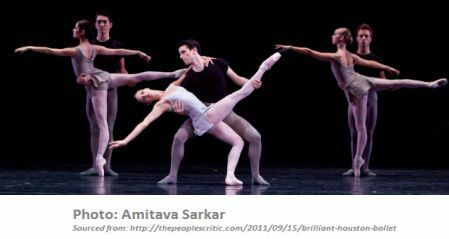 It has now become the fourth-largest professional ballet company in the United States and continues to grow in success. The company are classically trained and attracts some of the world's best dancers.The associated ballet school, Ben Stevenson Academy, trains young dancers of the highest standards and provides nearly half of the company's dancers. The company are made up of talented 54 dancers. The company attracts the most finest dancers, many of whom have won gold and silver medals at major international ballet competitions. The renowned choreographer, Sir Kenneth MacMillan, created five of his pieces especially on the company dancers. Under the guidance of Tatiana Semenova, an academy was established in 1955. Tatiana Semenova was a ballet dancer herself and a member of the famous Ballet Russes. By 1969, a professional company was created through the leadership of Nina Popova. She was also a former dancer with the Ballet Russes, as well as the legendary American Ballet Theatre. From 1976-2003, Ben Stevenson, was the artistic director of the company. He had a highly successful career as a dancer, before going into build Houston Ballet into the acclaimed company it is today. Ben Stevenson danced professionally with the Royal Ballet in London, as well as the English National Ballet. It was his leadership, training and choreography which made such an impact to the development of the Houston. Ben Stevenson transformed them from a regional company into an internationally recognized company. In 1989, he took the lead of the company's repertoire and welcomed the prominent choreographer, Sir Kenneth MacMillan and Christopher Bruce. Sir Kenneth worked with the company from 1989 until his death in 1992. Christopher Bruce still remains in the company today and is now the associate choreographer. Stanton Welch is now the current artistic director, who was an Australian dancer himself and trained at San Francisco Ballet. Stanton Welch continues to strengthen the company and bring in a broad range of styles, whilst also choreographing many works himself. The Ben Stevenson Academy is situated in the same location as the company in Houston, Texas, and offers ballet training for over three hundred students. In the company, there are a good 40 percent of ballet dancers which have trained at the associated school. They have risen from the ranks of the academy and had the high standard of training, which is recognized internationally. The company bring around 75 performances each year, mainly of which are performed at the Wortham Theater Center. The company have an extremely new building where they are based named the Center for Dance. It was just built in 2011, so it is full of fantastic facility and space for the dancers. The company also tour widely in Europe, Canada and around the US. 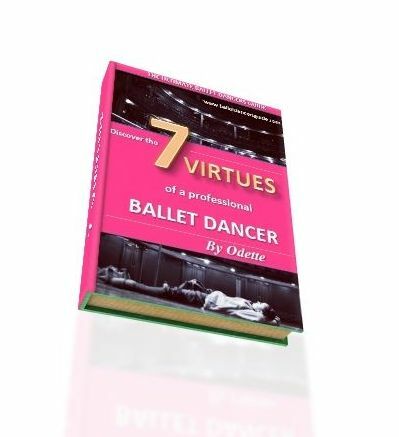 They have choreographed a number of productions with other major ballet companies, including American Ballet Theatre, Boston Ballet and the National Ballet of Canada.